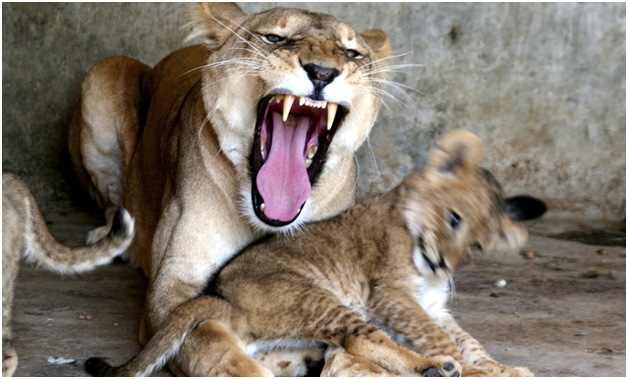 Rani, the African lioness at the Islamabad Zoo gave birth to four cubs on June 23, 2017. In November 2016, Rani had given birth to two stillborn cubs. Initially, Rani and cubs were lodged in a separate designated room, where their movement was being monitored through CCTV cameras. The zoo director, Mohammad Irshad, claimed that his team had provided Rani best facilities and she and her cubs were healthy. “Our veterinary doctor and his team are taking full care of Rani,” he said. The good news however did not last long as all the cubs had died by July 12. What would we have now? Not another inquiry? People say that the Zoo lacks proper facilities and the health workers are inefficient. The problem is really the incompetency of the staff and their lack of compassion and interest in their jobs: all they are interested in is the money. May be the cubs are better off dead as otherwise they would have ended up spending their own life behind bars living a miserable existence. Some zoo officials say that negligence is a major factor in the death of zoo animals, with over a dozen animals dying in the last two years. Every time when precious animal dies in the Islamabad Zoo the concerned authorities launch investigation but we have seen no result of any of such investigations. People who wanted lions added to the Islamabad Zoo should learn their lesson from this experience. If we cannot take care of precious and endangered species then we should stop bringing them to the zoos for their miserable existence and then untimely death. 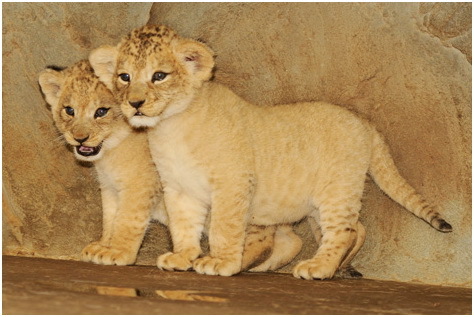 The pair of African lions was brought to the zoo in May 2016 under the Punjab government’s birds and animals exchange program. It is for this reason that Aminals demand closure of all the zoos in Pakistan till we could afford to have proper zoo facilities with trained and committed staff available to look after the animals. Previous Previous post: Do We Need Zoos in Pakistan? We should just close down these zoos, as all the workers and officials there have no idea about how to properly care for these poor animals. Also all of these zoos are so pathetically designed, none of the enclosures resemble their natural habitats in any possible way. How is an animal supposed to live a healthy life in a space that has floor made of concrete and shelters made of bricks? How is that in any way close to their natural home? It’s time we do something about these zoos, and also these poor animals that are simply leading a life worse than a murderer in a cell.